Viral conjunctivitis, or PINK EYE, is a common, self-limiting condition that is typically caused by adenovirus. 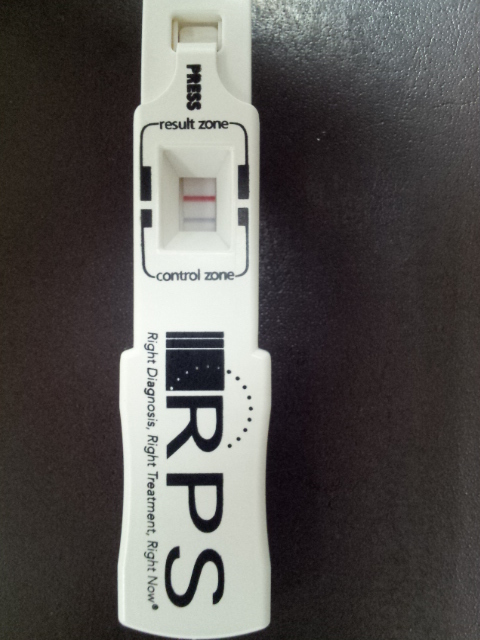 This can be diagnosed with the above test, the RPS detector. When you have viral conjunctivits, you are highly contagious for about 10-12 days from onset as long as the eyes are red. You should avoid touching your eyes, shaking hands, and sharing towels. Signs and symptoms of viral conjunctivitis may include itching, tearing, redness, discharge, and light sensitivity. This is typically treated with steroid eye drops and artificial tears. Antibiotics are ineffective when a virus is the cause.